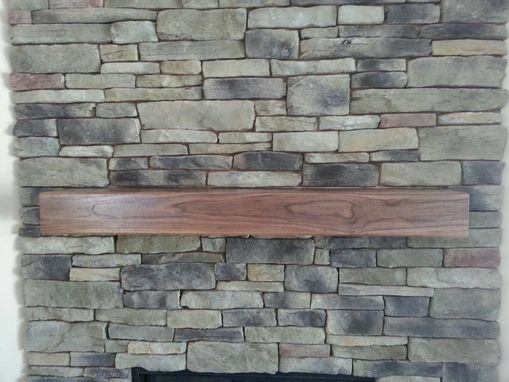 Contractor had a client that wanted a walnut mantel made to match walnut flooring in their new home. This is a simple "box", with a chamfered edge on it. 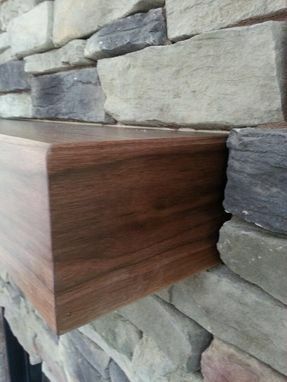 Take note of how the graining of the front of the mantel wraps at the ends. I try to do this as much as possible to make it look continuous. Paying attention to detail. Wonderful experience working with Leland Franke. Mantel met our expectations perfectly. 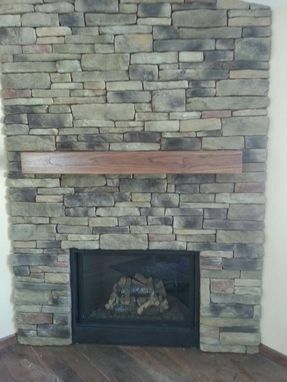 Will definitely recommend Leland to our friends and anybody who asks where did you get that beautiful mantel from. I can honestly say that this was one of, if not the best experience I have had not just with the communication and value, but the pleasant and thoughtful dealings during the entire process. From design to completion I was never disappointed and my expectation were always exceeded. The final product was more than I could every wished for. I look forward to working with Leland again soon. 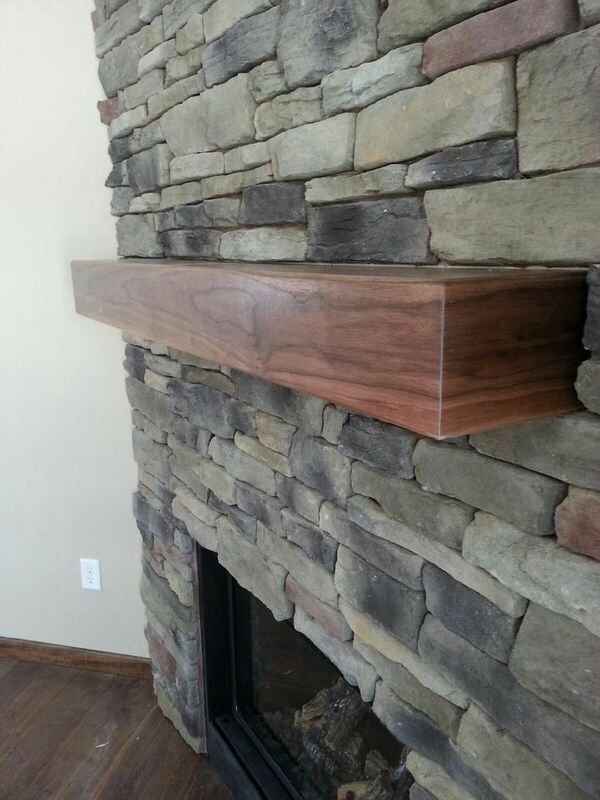 I was looking to have a walnut fireplace mantel made and came across Lee while searching the Internet. I am so pleased that I found him. We just received the mantel and I could not be more pleased with it. It is absolutely beautiful. The graining in the wood and craftsmanship is excellent. Lee was great to work with and kept me informed of progress including pics as he went. Highly recommend!!!! Lee was outstanding to work with. His workmanship was excellent, his communication on status was wonderful, he took great care in packing and shipping, and we were thrilled with the mantel. We would recommend him to anyone considering custom wood projects.